Teachers at a school whose students made what appears to be a Nazi salute raise money for Auschwitz Memorial and Museum. The teachers at a Wisconsin high school whose students made what appears to be a Nazi salute in a junior prom photo raised money for the Auschwitz-Birkenau Memorial and Museum, JTA reported on Sunday. The teachers’ union at Baraboo High School agreed to donate to the institution after the school district decided that the students would not be disciplined due to their free-speech rights, the Baraboo News Republic reported. News of the incident was first reported in November. The photo had been taken the previous spring and involves about 50 students. The photo was posted originally in a private online album tagged #BarabooProud. The photographer, Peter Gust, denied that the students in the photograph were making a Nazi salute, claiming he had asked them to wave and snapped the photograph in the middle of the wave. The school district superintendent later said the students would not be punished, claiming the Baraboo School District is “not in a position to punish the students for their actions” because of their First Amendment rights. 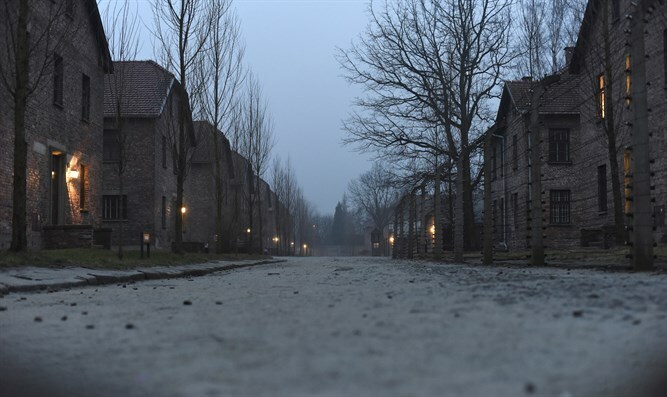 The Auschwitz museum was one of the first to level public criticism about the photo, and also the first to offer to help educate the district and the students, according to JTA. The teachers made up and sold 180 T-shirts in a variety of colors with the message “No room for hate. This classroom. This school. This community. This state. This country. This world.” They raised $2,100. The staff members all wore their shirts on Pearl Harbor Day, December 7, in a sign of unity. They plan to sell more shirts to the general community.